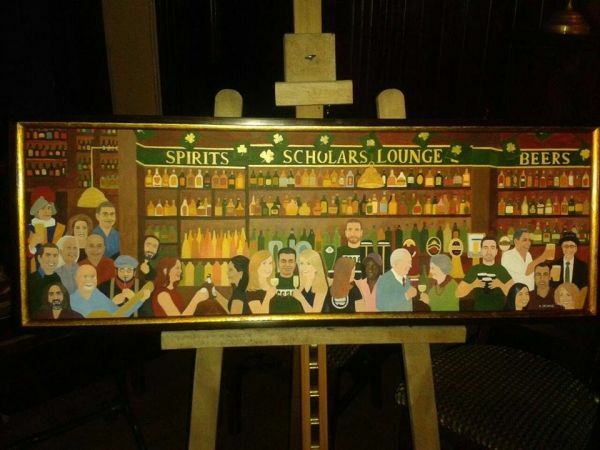 Andy Devane's much-awaited painting of the bar's clientele was inaugurated at Rome's popular Scholars Lounge on Friday 12 September. The artist, who been working on the 90 cm x 30 cm painting for the best part of a year, has based his composition on the bar's regulars and staff, 26 people in all. “You won't find any pop stars or Hollywood celebrities among them - just real people and all are either Irish or friends of Ireland,” he said. 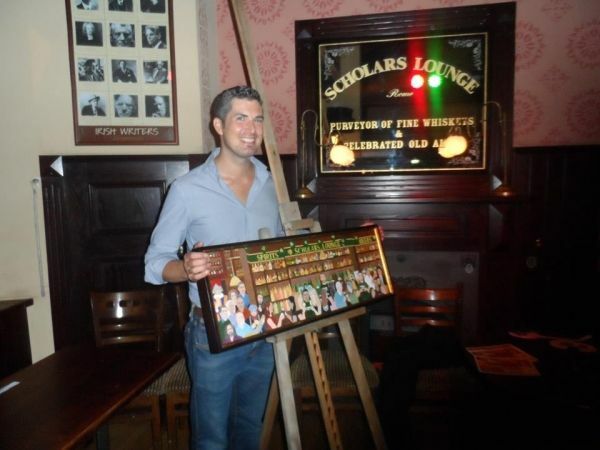 The painting, which was commissioned by the owner of the Scholars Lounge Declan Crean, is hanging in Bar 1, the original bar before the expansion of the pub in 2010. Devane's art is already well known to those who frequent the bar. 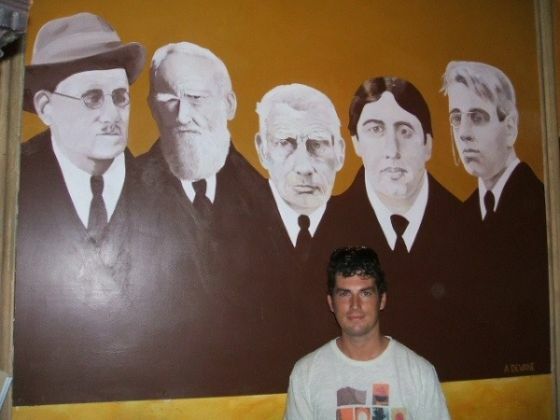 A giant mural he did in 2007 of five Irish writers - Joyce, Shaw, Beckett, Wilde and Yeats - had to be moved when a new entrance was created between the two premises during the expansion. It is now safely in storage. The Scholars Lounge first opened in 2005 and has been a home-from-home for numerous ex-pat nationalities ever since – Irish, English, Australians, Americans – as well as being very popular among Italians. Devane has held exhibitions regularly since he first came to live in Rome in 2000, all of which have been associated with either the Irish embassy or the Pontifical Irish College. Devane, who has worked with Wanted in Rome since he first arrived in the capital, is now planning a new exhibition scheduled for spring 2015.